I have got very few pictures of slam door EMUs in the slightly half finished looking Southern livery. 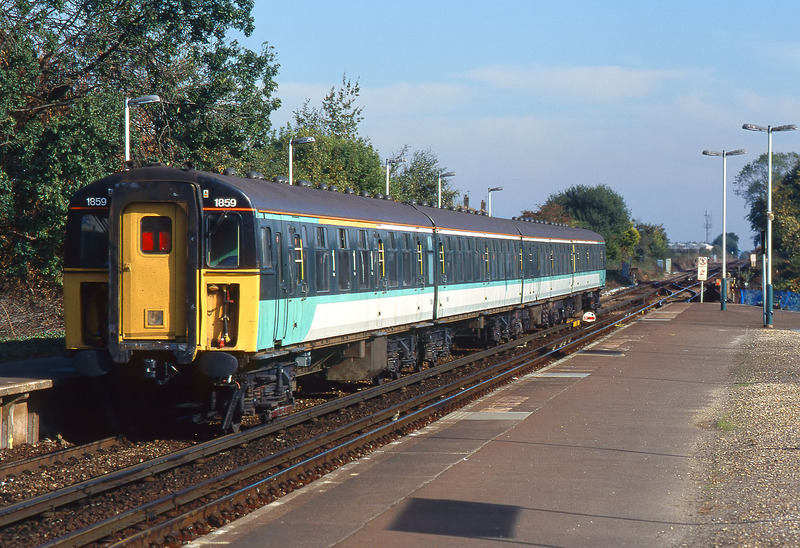 Class 421 4-CIG 1859 leaves Barnham station on 18 October 2003 with the 14:24 Bognor Regis to Littlehampton service. This short journey involves two branch lines. The Bognor Regis branch joins the main 'West Coastway Line' at the west end of Barnham station. The unit will then travel to Ford station, before branching off onto the even shorter line to Littlehampton.